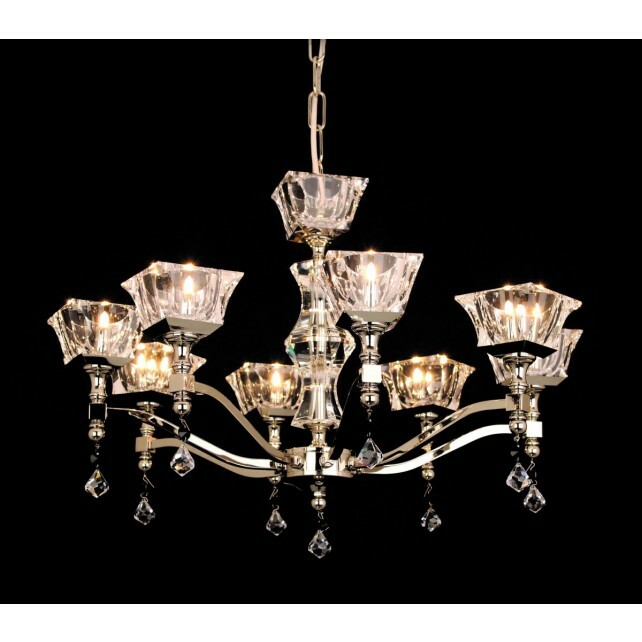 This elegant 8 light optical glass chandelier ceiling fitting, is a part of the Bresica range from the Starlite collection by Impex. Showing a gold fitting, with a glass centre column, with 8 delicately curved arms each holding square shaped glass shades with additional decorative glass drop design. 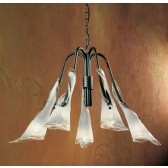 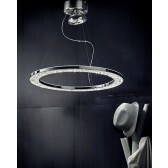 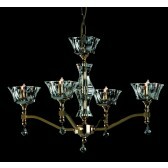 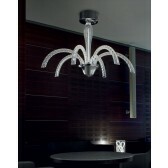 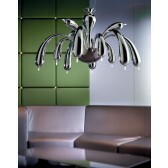 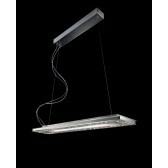 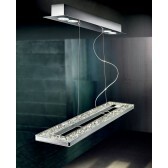 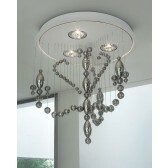 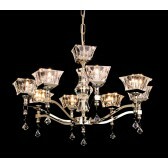 This light is also available in nickel, it is the perfect accessory to your indoor lighting plan. 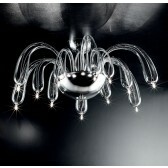 Whether its a centrepiece, or in a bedroom the stylish light is sure to produce a practical source of light in a decorative from. 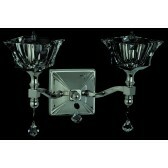 Matching fittings are available.